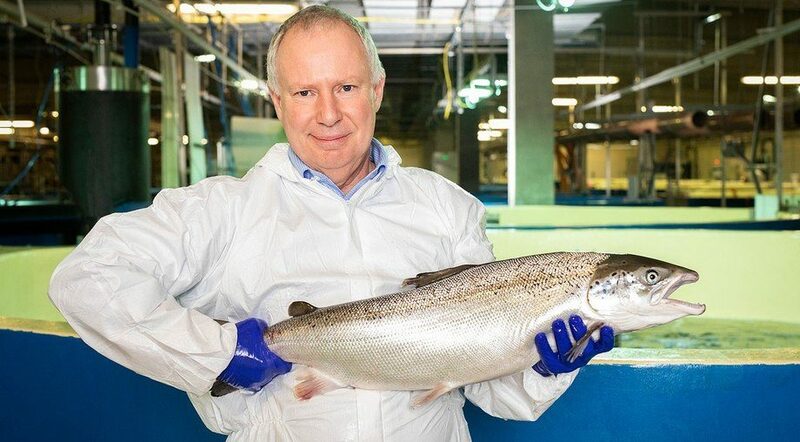 Pure Salmon's head of production is former Marine Harvest Scotland regional business manager and Huon general manager aquaculture David Cahill, pictured with a salmon grown at AquaMaof's Polish facility. Photo: Pure Salmon. 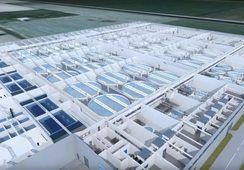 The company, set up by investment management company 8F, intends to build enough recirculating aquaculture system (RAS) facilities to harvest 260,000 tonnes of Atlantic salmon annually. And it plans to do it all within the next five or six years. 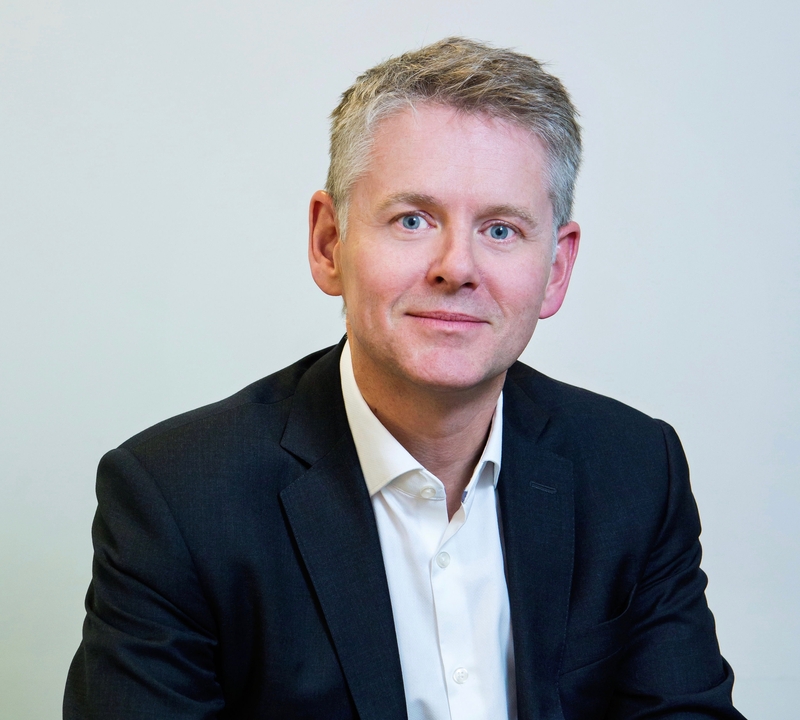 “This is the first time that anyone has done a proper global roll-out of large-scale RAS facilities,” says Martin Fothergill, a partner in 8F. 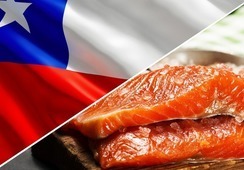 Pure Salmon has chosen Israeli RAS expert AquaMaof as its technology partner and has bought a half share in AquaMaof’s RAS salmon plant in Poland. It has a capacity of just 580 tonnes a year but has already produced 6kg salmon that prove the technology works. 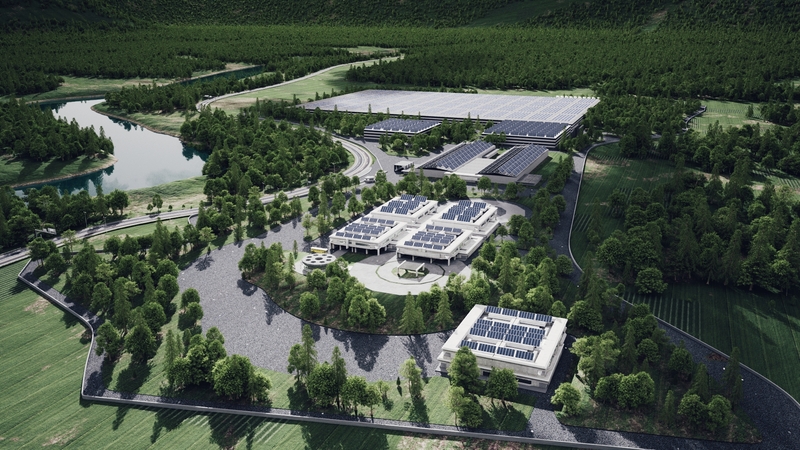 The facility will be strategically important as Pure Salmon’s training and R&D centre. Pure Salmon has also recruited experienced fish farmer David Cahill as its head of production. Cahill’s 28 years of experience includes 18 years with Marine Harvest in Scotland and seven years as general manager aquaculture with Huon in Tasmania. 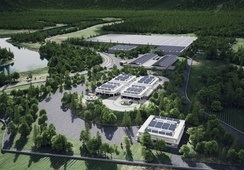 Work on Pure Salmon’s first new farm, a 10,000-tonnes-per-annum facility in Japan, begins next year, with the first salmon due to be harvested in 2022. The company also has plans for a 20,000-tonne-capacity facility in the eastern United States, and a 10,000-tonne farm in Europe – either France or Italy. The Singapore-headquartered company also intends to build five facilities in China, along with more in the US and other regions. 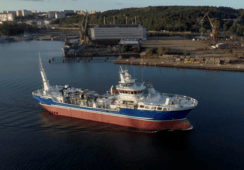 Fothergill points to increasing improvement in technology and the margins that are being made by salmon farmers as reasons why 8F’s partners believe now is the time to invest in RAS facilities. Scale is the answer to making RAS successful and that’s why we’re looking at facilities of 10,000 tonnes and 20,000 tonnes for our projects because there you have the economies of scale throughout the business. 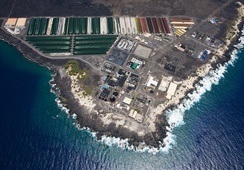 He is also undaunted by the fact that RAS grow-out facilities have yet to prove themselves to be price competitive with fish grown in open net pens. “We think that scale is the answer to making RAS successful and that’s why we’re looking at facilities of 10,000 tonnes and 20,000 tonnes for our projects because there you have the economies of scale throughout the business - from a capital expenditure perspective but also once you’re running it, it helps to make the cost of production lower. Pure Salmon isn’t relying on environmentally-conscious customers to pay a premium for its salmon, although it’s hopeful it will get it. “We’re not building into our financial models a need to sell our salmon at a premium, although we would expect to be able to sell it at a premium because it’s clean, it’s sustainable, it’s fresher, it hasn’t had any chemicals or antibiotics used on it,” says Fothergill, a former senior executive at Deutsche Bank. When you look now at the cost of the cage licences in Norway, for example, suddenly building a RAS facility looks pretty cheap. He concedes RAS farms are capital-intensive investments but adds: “When you look now at the cost of the cage licences in Norway, for example, suddenly building a RAS facility looks pretty cheap. The cage licences per tonne are going for about double the cost of building one of our new RAS facilities, so it is comparatively economically sound from that perspective. “But it still requires cash. 8F is an investment management company and we’re raising capital from our investors that we will then deploy in these facilities. That’s how we’ve funded the Japanese facility and the Polish facility that already exists. 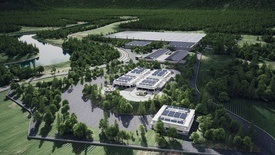 Work on Pure Salmon's facility in Japan will start next year. Click to enlarge image. When regional grants and some bank borrowing are added in, the total cost of the first phase reaches $500m. 8F will establish a separate fund to raise money to invest in China. It is currently looking for locations and working on the second fund. The figure of 260,000 tonnes was arrived at after 8F looked at where there would be demand. “It could get larger, and obviously as we go along we could get asked to build other facilities elsewhere, so it could rise but that’s our current target,” explains Fothergill. “Each facility will essentially be the same,” he says. 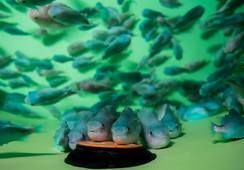 “That’s all part of the scalability. We are effectively building the same factory again and again and again, either 10,000 tonnes or 20,000 tonnes. Pure Salmon is still in talks with egg providers. “The plan is that we will use more than one supplier, because it makes a lot of business sense to have more than one,” says Fothergill. Keeping the water cool enough in warmer countries won’t be a problem, he says. “The AquaMaof technology doesn’t require any seawater, so all of the water is coming from a borehole, ideally, or from the water network. Temperature isn’t going to be such an issue as if we were bringing it from the sea. Because it’s recirculation, once it’s cooled it needs less energy to keep it cool. He stresses that a lot of planning has gone into the project. “This hasn’t just come from nowhere. We’ve been working on it for two years. A lot of work has gone into this to get us this far. “We work with each of the local governments where we’re locating to discuss things like planning, getting the water and releasing the water and so on.